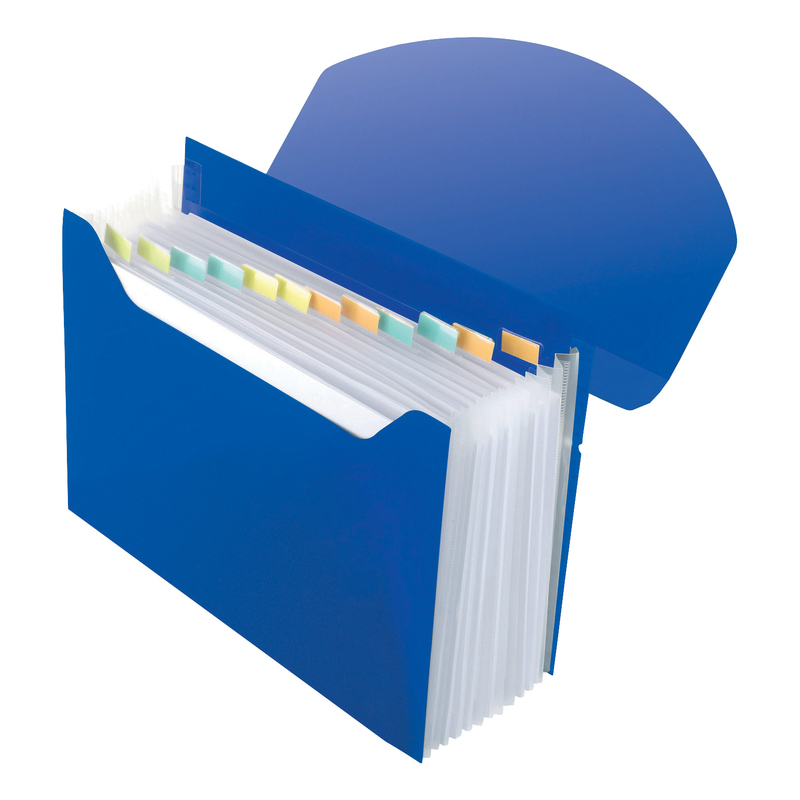 Expanding file with 13 sub sections and section inserts. Hinged lid for full access to documents. Stores up to 500 sheets. Unique, printable and reusable ID label.